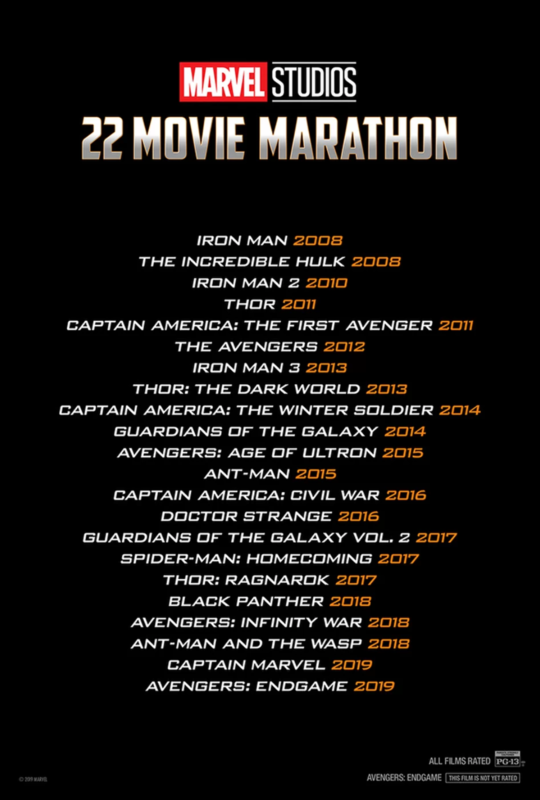 12 theaters across the US and Canada are planning the mother of all movie marathons ahead of the release of Avengers: Endgame: a 60-hour MCU marathon. Starting Tuesday, April 23rd, they’ll be running all 22 movies from the Marvel Cinematic Universe, beginning with Iron Man, and including every feature since, including The Incredible Hulk and Spider-Man: Homecoming. The films, which total around a 60-hour run time, will lead right up to the big finale — the release of Endgame. Those who participate in the event will be privy to collectibles, exclusive content, and a special concession offer, topped off with a viewing of the follow-up to last year’s Avengers: Infinity War a full hour before any regular showtimes begin playing. 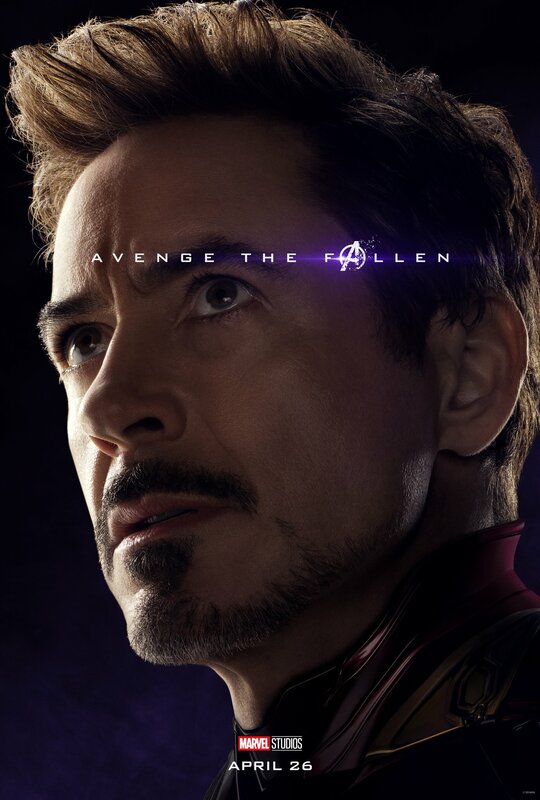 Given the two-and-a-half day runtime, the films should start around Tuesday morning at 8 AM, and run right up until Endgame by the following Thursday afternoon. Directed by Joe and Anthony Russo, confirmed cast members for the fourth Avengers film include Robert Downey Jr., Chris Evans, Mark Ruffalo, Scarlett Johansson, Chris Hemsworth, Jeremy Renner, Don Cheadle, Sean Gunn, Paul Rudd, Brie Larson, Karen Gillan, Katherine Langford and Josh Brolin. Tickets aren’t on sale just yet, but you can check on the AMC website here for more information. 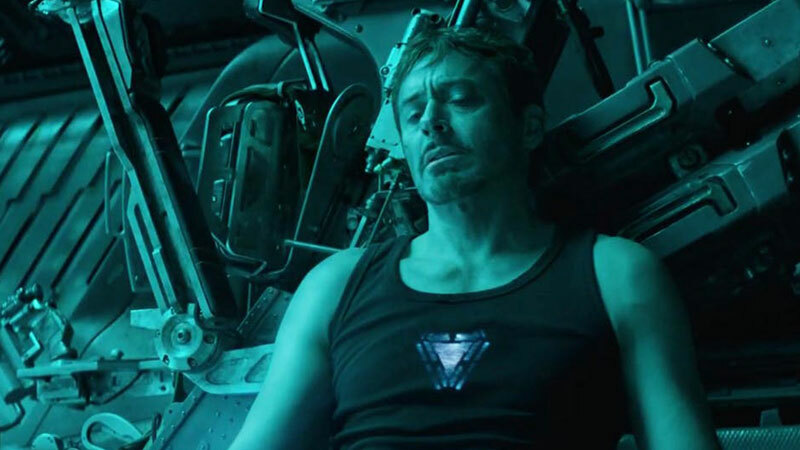 Avengers: Endgame will open stateside on April 26. Are you up for this mighty challenge of eye-opening stamina? Let us know how long you can stay awake in the comments below, oh true believers.